Early this morning, Bloomberg reported that View, Inc., a maker of smart glass had received $1.1 billion in funding from the SoftBank Vision Fund. Prior to this announcement, Bloomberg reports, the company had received “about $800 million” in funding from other investors. Earlier this morning, I reported the $150,000 sale of User.com, a domain name that was brokered by Dave Evanson at Sedo. It is now clear who acquired User.com and why. In July of this year, I reported that the WW.com domain name appears to have sold. WW.com previously sold in 2014 for an undisclosed price. Although the Whois record was private and the domain name did not resolve in July, I speculated that Weight Watchers may have acquired the domain name. In addition to the fact that Weight Watchers’ initials are “WW,” the domain name transferred to corporate brand protection registrar SafeNames, where Weight Watchers registers its domain names. Last week, I updated the article I wrote because WW.com started forwarding to WeightWatchers.com. Although the Whois record remains private, it could be assumed that Weight Watchers acquired the domain name because it wouldn’t make sense for anyone else to forward the domain name. 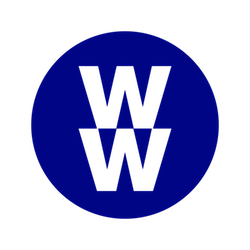 This morning, it was reported that Weight Watchers is rebranding as WW. According to an article published this morning on CNN Money, “Weight Watchers really wants to let you know that it’s not just a diet company — so much so that it’s changing its name to WW.” Smartly, the company bought the matching WW.com in advance of the rebranding. Apple is now using its .Apple domain name extension in a meaningful way. A Google search for “site:.Apple” shows just two other .Apple domain names indexed: Newsroom.Apple and Nic.Apple. The newsroom url forwards to a page within Apple.com, and it is primarily used as a link sharing url. The Nic url also forwards to a page within Apple’s .com website that discusses the .Apple TLD policies. The 2018 Inc. 5000 list of the fastest growing companies in the US was recently published. I noticed two domain industry companies that made this year’s list. The .Club Registry reported revenue growth of 419 percent and 2017 revenue of $7.2 million. Namecheap reported 78% revenue growth and 2017 revenue of $109.1 million. Kudos to these two companies. There were quite a few companies (57 in total) that use .com in their branding.